This is a very important juice recipe. It’s delicious and it’s powerful. More powerful than 99% of other juices…..but why? These five systems (what I call our Five Master Systems) need to be nourished and thankfully Mother Nature has given us everything we need…and this juice does it in abundance. When you give your body the tools it needs – and we’re talking about alkalinity, anti-oxidants and anti-inflammatories (hence Triple A) – we’re giving our body everything it needs to repair, rebuild and thrive. Our Five Master Systems will get back to balance and your health becomes effortless. This juice – The Triple A – is a powerful in all three areas. It’s called the Tripe A because it’s highly alkaline, antioxidant-rich and packed with natures most potent anti-inflammatories. In my 2017 7-Day Juice Challenge (almost 10k people took part in this free juice-fest!) 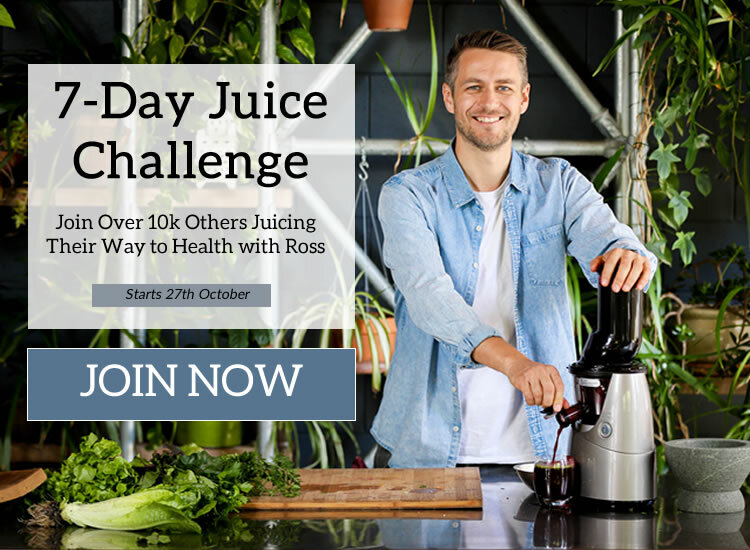 it was possibly the most enjoyed juice (hint: the 2018 7-Day Juice Challenge is only a few weeks away – click here to register – it’s totally free). And it’s definitely the most powerful. Try it today and make it a part of your life. You’ll love it! Wash and juice all ingredients! If you’re using a masticating juicer, chop the celery into chunks to prevent the string from clogging the juicer up. You can dilute down with filtered water, coconut water, or any nut milk. ENJOY! Having this juice a few times a week will change your life forever! It’s Helen Howard again. Thanks for responding to my query re juicer,my husband has just bought me an Aicok juicer, about to try it! 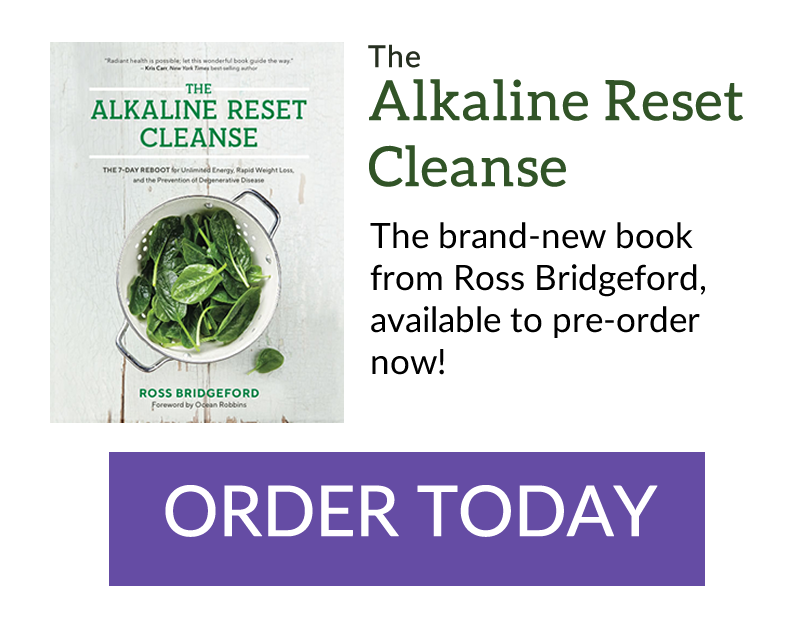 Following your alkaline 7 day series now but I’ve just ordered your book & see I have the downloaded recipe books etc but thought I was able to watch your series anytime now not just for 24 hrs? How will I I be able to? I expect most of what you refer to will be in your book anyway. I’m wanting to buy a juicer & it seems the masticating variety are the best, though slower. The SK G was one one I was interested in. I live in the UK by the way. Do you have any suggestions or recommendations. Would be great if you did, want one easy to clean. I always recommend Hurom – great product and great support. I am certainly sending very positive vibes your way – I hope I can help you! Hi Ross, if you are avoiding the nightshade family is it advisable to up the carrots and beet for sweetness? And what is your take on the nightshade family? And one other question if I may, what puts me off juicing is the amount of veg ‘ waste’ I throw away. Can it be reused? I only have a vitamix,which i add water to and strain out pulp.Would this work for Triple A juice? Am following your eating plan and one item not on your list is Xyitol. I would presume that this is also acidic – please confirm. Hi Ross. My NutriBullet has given up the ghost! What would you recommend to replace it! Looking forward to the Challenge!